Leave it to Diva Marketing's Toby Bloomberg to deliver on the ultimate social media marketing experiment: an insightful business book written on Twitter, 140 characters at a time. She has just published it: Social Media Marketing GPS, A Guide to Social Media, 1 Tweet at a Time and I urge you to read it, savor it and learn from it. 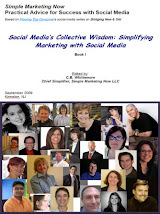 The book is based on interviews that Toby conducted last summer 2009 via Twitter with 40 prominent marketers from Canada, England, India and the United States on specific topics relating to "how to leverage social media, not in terms of the technology, but as a vehicle to build and nurture stronger business relationships." I'm particularly honored that she invited me to participate [check out Chapter 3 about listening]. I found the experience unlike any other Twitter interaction; it was intense and required deep focus. It was also exhilarating and I felt renewed appreciation for brevity and concise thinking. 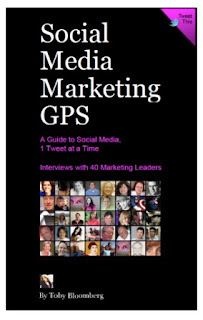 Click here to download the 91 page eBook Social Media Marketing GPS. Toby has organized each chapter into a 'tweet intro' followed by the relevant Twitter interview[s], a review of key concepts and suggestions on how to continue the conversation. Don't wait! Download your own copy of the book and please let everyone else you know about this must-read guide titled "Social Media Marketing GPS"! Thank you, Toby, and Congratulations! Kinnelon, NJ – Age of Conversation 3 (202 pages; hardcover; paperback; Kindle; ePub), third in the one-of-a-kind global collaborative series, is now available through all major online retailers, as a Kindle e-book, and soon as an ePub for other digital readers. Published by new digital publishing company Channel V Books (www.ChannelVBooks.com), the book highlights social media best practices with perspectives from 171 authors from around the world, constituting a veritable “who’s who” of the world’s leading marketing bloggers. Seven authors hail from New Jersey. Sales of the book benefit the Make-A-Wish Foundation. Age of Conversation 3 captures the distinct shift from social media as hypothetical consumer loyalty tool to staple in the modern marketing toolbox. Although the book covers more than just social media, the topic is ubiquitous among the book’s 10 sections: At the Coalface; Identities, Friends and Trusted Strangers; Conversational Branding; Measurement; Corporate Conversations; In the Boardroom; Innovation and Execution; Influence; Getting to Work; and Pitching Social Media. 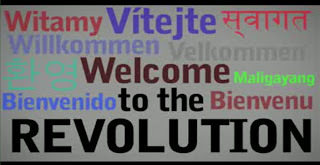 “We have seen an incredible shift in the role of social media over the past three years. It has moved from an outlier in the marketing mix to one of the strategic pillars of any corporate marketing or branding exercise,” says Drew McLellan. “And it doesn’t end there,” adds Gavin Heaton. “As the many authors of this new book explain, the focus may be on conversation, but you can’t participate in a conversation from the sidelines. It’s all about participation. And this book provides you with 171 lessons in this new art”. McLellan and Heaton are co-editors and contributing authors of the Age of Conversation series. The first Age of Conversation raised nearly $15,000 for Variety, the international children's charity, and Age of Conversation 2 raised a further $10,000 for Variety. This year’s proceeds will be donated to the Make-A-Wish Foundation. Christine B. Whittemore, chief simplifier of Simple Marketing Now located in Kinnelon, NJ, has participated in the Age of Conversation series since its beginning. Her contribution to Age of Conversation 3, titled “Extreme Foreignness, Innovation and Execution”, appears in the Innovation and Execution section. Other New Jersey authors include: Steve Roesler, Eric Brody, Steve Woodruff, Mark Levy, Marilyn Pratt and Rick Liebling. Whittemore has been immersed in social media marketing since 2006 – personally, for a brand and for her business. She is the author of Flooring The Consumer – a highly acclaimed weblog about the customer retail experience and marketing to women and an AdAge Power 150 Marketing Blog. She also writes the Simple Marketing Blog, a Junta42 Top 42 Content Marketing Blog. For information about Age of Conversation 3 or to purchase a copy, visit http://www.ageofconversation.com/. Have you marked your calendars? Have you purchased your tickets? 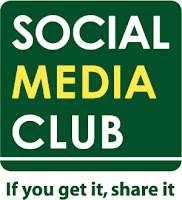 I'm talking Social Media Club North Jersey on 5/25/10 for an event you do NOT want to miss! It's titled “I love you. I hate you. Customer feedback in a social world.” I'm leading the discussion about the dynamics of engaging with customers via social networks. Here's a link to the press release: How To Manage Social Reputation. Most important, here is a link to the EventBrite site so you can register to attend “I love you. I hate you. Customer feedback in a social world.” Click on it! You might even still be eligible for the Early Bird special! I bet you have other interesting ones to share that you've either experienced personally or encountered. Some that come to mind include [from BRITE '10] Dave Carroll and United Breaks Guitars and Nestle and, from Coverings '10, The Main House which dealt with negative traveler reviews thanks to a groundswell of fan support - hat tip to Veronika Miller at Modenus. Will you be there? Click on this link to register. 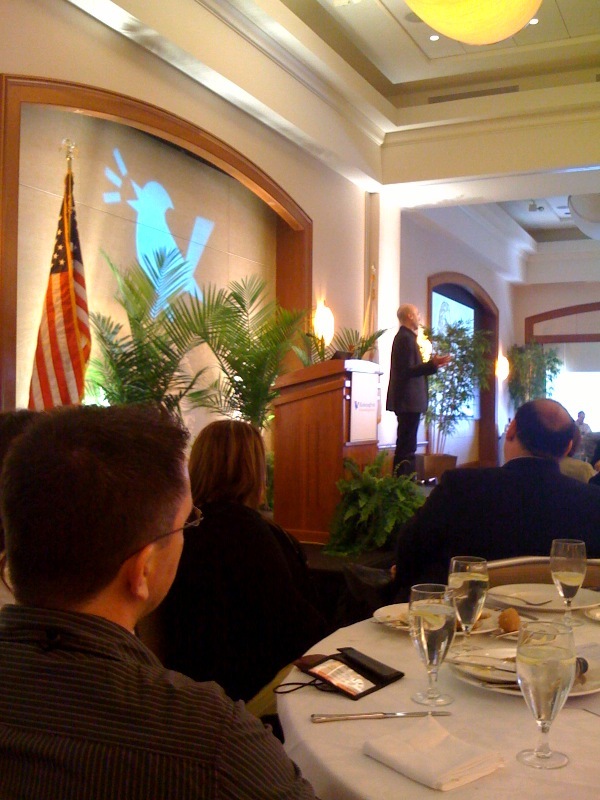 I'm just back from the 2010 MarketingProfs B2B Forum in Boston and am, once again, in awe over the intensity of the experience. The intensity comes from a confluence of marketing forces. One: intellectual. Inevitably, MarketingProfs keynote presentations stretch my mind and imagination, have me reconsidering paradigms and dreaming of the impossible. David Weinberger and Mitch Joel both delivered! Two: practical. MarketingProfs puts together some of the best quality, most relevant and practical case studies and presentations that I've experienced. [Check out the program schedule for this B2B Forum.] They do so consistently. New this year were pre-conference workshops and I had the honor to sit in on Christina (CK) Kerley's session on Integrating social media into your marketing plan to improve ROI. It was outstanding! Patrick Prothe has a terrific writeup in Showing the ROI in Social Media. What I learned at the Marketing Profs B2B Conference. Three: social. MarketingProfs events offer so many natural opportunities for participants to have meaningful conversations, interact, learn from one another and deepen relationships developed online. 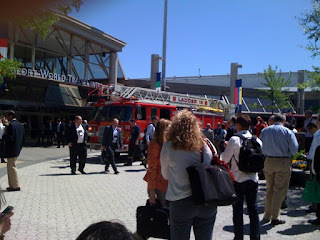 I got to spend time with Sharon Mostyn and Donna Tocci, both Twitter friends, finally met Ron Ploof in person [the firetruck in the picture below is what interrupted his fantastic Video Hot Seat Lab session], reconnected with favorite conversationalists such as CK and Allen Weiss, didn't get enough time with Ann Handley, Deirdre Breakenridge, Beth Harte, Lee Odden and Aneta Hall, and also met new friends. Four: serendipity. I was unexpectedly invited to offer One on One Twitter Therapy on May 4th. I had the time of my life meeting with four B2B Forum attendees and offering perspective, advice and ideas on how best to use Twitter for business. Thank you, Kathy Bushman! I'll be covering in more detail several of the sessions I attended. + Definitely read through Ann Handley's recap of the 2010 MarketingProfs B2B Forum: Overheard at the Forum: 30 Lessons for B2B Marketers. + Laurie Kinsman writes Why MarketingProfs and #mpb2b need to get their act together*. + Peg Mulligan offers MarketingProfs Cinco de Mayo Fiesta: A Case Study on Being Memorable. + David B. Thomas summarizes B2B case studies in MarketingProfs B2B: Proven Success Stories Integrating Social Media into Overall Strategy. HOW TO MANAGE A COMPANY’S REPUTATION VIA SOCIAL MEDIA? Whittemore will lead the discussion, which will feature perspective from her client, Devon Valenti, marketing manager North America, ALK Technologies. Valenti is responsible for marketing and promotion of CoPilot Live consumer and business navigation solutions. She has extensive experience across the marketing spectrum—from interactive and online to creative writing—and manages the social media presence for the brand--a smart phone and iPad based GPS application. Whittemore has been immersed in social media since 2006 – personally, for a brand and for her business. She is the author of Flooring The Consumer – a highly acclaimed weblog about the customer retail experience and marketing to women and an AdAge Power 150 Marketing Blog. She also writes the Simple Marketing Blog, a Junta42 Top 42 Content Marketing Blog. To attend the May 25th Social Media Club North Jersey event “I love you. I hate you. Customer Feedback in a Social World”, register at EventBrite. An early bird rate of $15.00 is in effect through May 18th, $20 from May 19th through 24th, and $25 at the door. Social Media Club brings together journalists, publishers, communications professionals, artists, amateur media creators, citizen journalists, teachers, students, tool makers, and other interested collaborators. Essentially the people who create and consume media who have an interest in seeing the ‘media industry’ evolve for everyone’s benefit. We are more than just USERS, we are the reason the tools exist - we are the people who communicate our thoughts and ideas near and far. 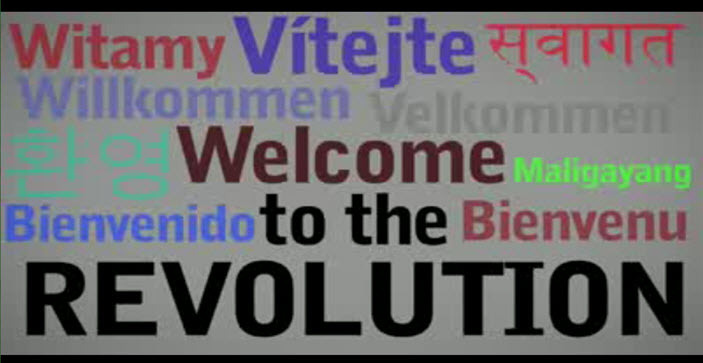 Join us and let’s shape the future together! 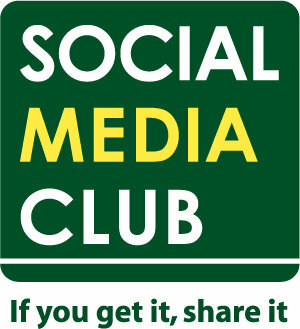 Become a fan of Social Media Club North Jersey on Facebook. Do you have questions about applying social media marketing to your business? You've come to the right place! 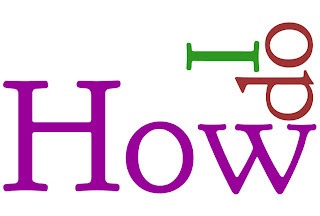 This "How Do I?" series is based on questions that have come up in conversation, during presentations and in one-on-one consulting sessions. If you don't see your question covered here, please let me know. Send me an email at cbwhittemore [at] gmail [dot] com or leave a comment on this post. As other questions arise and I add posts to the "How Do I?" social media marketing series, I'll include a link here. 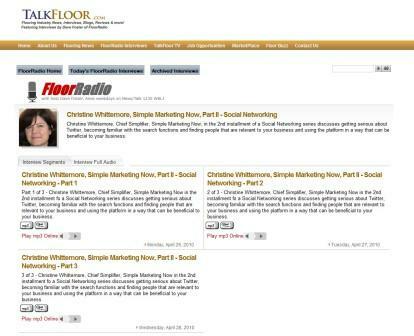 How Do I Make Social Media Relevant To Categories Like Flooring? TalkFloor's Dave Foster and I are continuing with our special #TalkFloor social media series, which you can participate in via Twitter as you listen to the recorded interviews. This segment covers how to get started with Twitter. Dave's Twitter handle is @DaveTalkFloor and mine is @cbwhittemore. Consider following us. Feel free to practice some of what we discuss. If you want to Tweet us questions, simply use #TalkFloor and the '@' to direct the question to us. Christine Whittemore, Chief Simplifier, Simple Marketing Now, in the 2nd installment of a Social Networking series discusses getting serious about Twitter, becoming familiar with the search functions and finding people that are relevant to your business and using the platform in a way that can be beneficial to your business. This installment consists of three segments, each approximately 15 minutes long. Go to your web browser and create 2 tabs: one for search.twitter.com and one for twitter.com. If this is your first time on Twitter, then definitely create an account. When you do, be sure to add a picture [also known as your Avatar]. Fill in the description; make it meaningful and representative of what defines you and your brand; try to include keywords. Do add a URL so potential followers can learn more about you and your brand. Next, you want to find people relevant to your world to follow. Relevance is key so you don’t get meaningless breakfast details. Go to your search.twitter.com tab and enter search terms. When you notice a meaningful tweet for that term, click on the person’s image. This will take you to their Twitter home page where you can decided whether to follow them or not. Another resource for Twitter searches is BING - http://www.bing.com/twitter. Whenever I click on a new Twitter profile, I evaluate it to determine whether I do indeed want to follow that user or not. I check to see if there is a picture, a description - after all, I'm doing this to make sure that I'm dealing with a real person [vs. an automated account] and whether the content is relevant to me. Is there contact information? What about the quality of the Tweets? Is there conversation going on? Just shouting*? Interaction? Or is it all one-way? Check out the ‘Lists” that that profile may have created and be a part of. Check out his/her followers for ideas on others to follow. *Note: Shouting refers to writing all in caps, pushing only sales messages, repeating the same sales message multiple times, or communicating in a way that allows no interaction. You get the picture, right? You'll notice many unusual terms when you first check out Twitter. The '@' symbol is a tweet [a Twitter entry] directed specifically to another Twitter user. The 'RT' letters represents 'ReTweet' and refers to repeating another's tweets that you admire/appreciate/find relevant so your followers can also benefit from the content. Twitter offers the ability to DM or direct message another Twitter user as long as you are both following one another. This can come in very handy as the DM generates an email message to the other party.You must go back to Twitter to respond. The '#' symbol is a way to tag or identify Tweets that are related. For example, #TalkFloor or #Surfaces 2010 will bring up any tweets relating to those subjects. You may also notice tags such as #FF or #FollowFriday and #MarketerMonday followed by a list of Twitter account names - those are friendly ways that the Twitter community has come up with to draw attention to other Twitter users. Another important feature for effectively using Twitter and making the most of the 140 character limit is compressed or tiny URLs. You can create your own using third party applications to shorten otherwise lengthy web addresses. To do this, open a third browser tab for http://bit.ly/ or similar URL shortener [3rd party Twitter apps integrate this functionality as we’ll see in the Advanced session]. As with all social media, it's critical to be aware that norms for behavior exist. If you don't follow some of the rules, you chance not being taken seriously and will have trouble building a meaningful following. When you first get started, it's a good idea to pay close attention to what you observe before jumping in. Imagine that you're entering into someone else's home and you know no one... how would you behave? Exactly! Acknowledge when people refer to you [i.e., say thank you when someone sends you a tweet directed @ you]. To keep track of whether people are referring to you, type your Twitter handle without the @ in the search.twitter.com browser window. Share what others say that you find meaningful - i.e., RT a tweet. Think about what you might share with others? Articles, quotes, links. [That’s when you’ll want to use tiny URLs to fit all the info in 140 characters!] Try to leave enough room in your tweet so someone can RT your message [i.e., don't use all 140 of your characters]. Follow people back - assuming they are relevant to you! Don’t ever Shout!!! Yes, this goes against many traditional advertising practices. But then Twitter is not a traditional mass advertising medium; it is for engagement, conversation, relationship- and brand-building, and sharing relevant information. When done authentically, consistently and respectfully, it can lead to business. So, be aware and ready to adapt! In terms of frequency for participating in Twitter... if you want to develop relationships, you need to show up and participate regularly. Daily if possible or as frequently as you can. You do not need to be on every minute of the day, but you should monitor regularly, acknowledge and contribute. Set up a Twitter account, prep 5 tweets that share value with others. Identify people to follow, check out lists they are included in and who their followers are. Consider following those people. Search on some terms: flooring, #flooring, brand names. Interact with 3 or 4 followers. Observe what happens. Do they interact with followers? Do they share information? Let me know your questions and we’ll address them in the next segment about Advanced Twitter.